Here is a great little book that tells the story of the amazing (if a little geeky) Brompton Bicycle . The history of the company and it’s very unique product makes for a great read. It’s really astonishing that over thirty years later nobody makes a more compact folding bike and here you can find out all about how this very famous little bike was invented. It’s a very english tale (slightly eccentric) and keeping it all british (made in London actually) is an adventure in itself. Brompton Bicycle is fantastic for any fan of great product stories but it’s a must for any owner of this UK marvel. I’m starting a series of posts in a cycling subcategory entitled “Brompton Adventures” about a bike I recently bought : my amazing Brompton folding bike (and details will follow about the specific bike I bought). I absolutely love this quintessentially british slightly eccentric bike. As an introduction see below the video of the inventor of the bike, Andrew Ritchie, demonstrate how the bike folds and unfolds. It really is as simple as shown in the video. Hereunder a really sweet eco video done by American artist Andyra Dorfman. I’m always mightily impressed by this type of creativity melding old (drawing, painting, poetry and music) with new (youtube, video editing, photography). This video is remarkably well done, poetic and very on-message. Kudos !!! I did recently try a fixed gear bike and know that I won’t be buying one any time soon. You really need to relearn everything and I just don’t have the time or the inclination. This being said, fixed gear bikes are nowadays really cool looking and fashionable. Some riders also do simply amazing things with them. The video here is a good example. Don’t, by any stretch of your imagination, think that this is easy though ! I bought my first commercial bike movie DVD and I have to say it’s a great one : Seasons by The Collective. It chronicles the life of a series of downhill, 4X, and dirt riders over the course of 4 seasons. You really get a feel for the type of life they live. The hardship of training, the excitement, thrills and disappointments of racing, the camaraderie, the passion and the simple joys of going for a great ride, simply stunning nature and trails, all come across brilliantly. Shot in 16mm, this film is really beautiful. Poetic but exciting at the same time. You can see the trailer for the film hereunder. I have watched the movie several times now and consider it something akin to what “The Endless Summer”is for surfing. A masterpiece ! Greatest of them all : Bikeradar.com. This site has quality reviews (tons of them actually) and all the news you could possibly want about the sport. It’s mainly geared towards road and mountain biking and less to urban but it’s still the big daddy as far as bike sites go. Most of their reviews are online republishing of magazine content which then becomes freely and permanently available (which is great…and green). If you’re interested in cycling, you have to bookmark this one ! Fixed gear bikes have become very fashionable in many cities around the world. Essentially paired down ultra low maintenance bikes first favored by bike messengers, they are characterized by a single gear, no freewheel, and often no brakes (which is quite dangerous but I guess part of the thrill). I have never (yet) tried one but will be documenting the scene anyway. To start with, here is a promotional video from Charge(a UK bike brand) featuring Juliet Elliot (one of their team riders) who does a remarkable job of explaining fixies and why they’re cool. In my opinion, she’s really cool too . Let’s start our cycling video section with the most incredible urban trial video ever. You have to watch this video of Danny Macaskill, 23 year old rider from Scotland, in action over a period of some months in Edinburgh. This video, by the revolutionary nature of the lines of the rider, is a perfect example of what’s renewing cycling and making it so cool again. It’s also a massive YouTube hit with more than 7 million people having viewed it already. 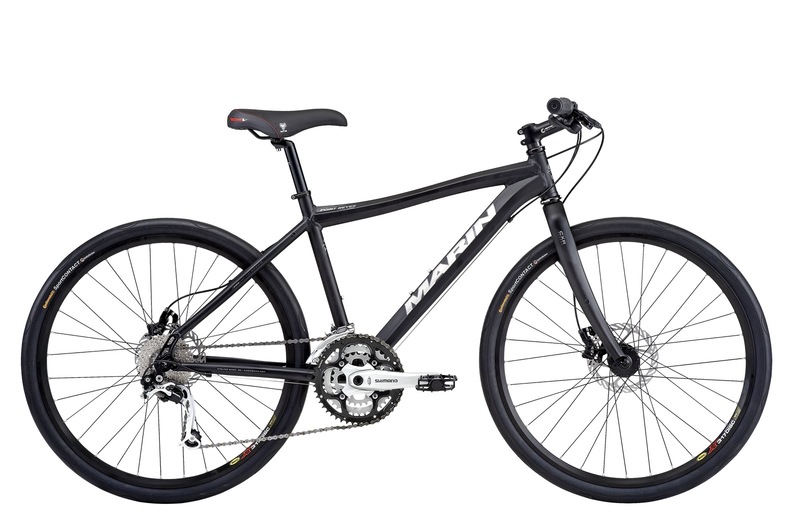 This is the bike that I purchased (after having read some great reviews about it) in London (where I live) as part of the government sponsored Cycle2work scheme. It comes in at a magical 999 £ which is just under the 1000 £ limit of the scheme. It’s a very pretty stealthy black bike (maybe a little too pretty and not stealthy enough considering the amount of bikes that are stolen in London) and it’s probably over equipped with regards to needs of cyclists here. That being said, it rides nicely. It’s light. It has a good set of brakes. It’s strong and quite confortable while still being a fast bike. The Continental Sport Contact tires are great and help deal with the uneven nature of London’s roads perfectly. They also open up possibilities along the canals and bridle-ways as they are very robust. The riser handlebars are too wide for traffic (but would be perfect on my Skin 1) and the saddle is nothing to write home about. In a way, it’s maybe just a little too much bling for a true urban bike and will probably be higher maintenance (disc brakes, transmission) than more suitable and more discreet urban alternatives. Also, the fact of being nervous of leaving it on the street (locked up of course) somewhat defeats the purpose of having an urban bike. Other than that, it’s a really fine bicycle.